My personal advice is that before you publish any content on any site, you should understand it properly. Each site has their own specifications and type of community, therefore to have better results try to interact and read what other´s are posting. I may say that I have a love and hate relationship with Reddit. I managed to see both sides of this platform. I got great positive feedback and also nasty comments as well. Reddit has a very peculiar community and can be very hard on you if you don´t follow their rules. Make sure you find the best subreddit to post your content and see how others post. Most of the subreddits don´t a accept just a link drop, but their community love if you share your personal insights, so this is highly recommended. Wherever you do on Reddit do not spam! Inbound is a great community for Marketing Professionals and the quality of the posts here is really good. A lot of great professionals post here their articles and there is a lot of interaction. A good recent example was when the Buffer Team opened themselves to an open QA. If you post about Marketing and social media this is deniability a good platform to gain traffic and get known. I came across with this platform not long ago and I absolutely love it. Medium was created by the Twitter founders and is a great site to read very good material. I have been reading a lot of articles here and finding my way through in order to start publishing as well. It has it´s own specifications and you can’t drop links, you must write an article through the native app which makes it a bit different from the most of the sites to publish content. You can post about anything here, just find your way through. This one of the most time wasting sites I know. It´s easy to spend hours stumbling in amazing and surprising stuff that people like you and me submit. The way it works is by submitting pages that users will be shown based on their interests and previous interactions. They have then three options: like, dislike and move on to another one. The visual content seems to work better, but I have managed to have an interesting traffic from this platform with my blog posts. If you nail here you may expect to have million of views. 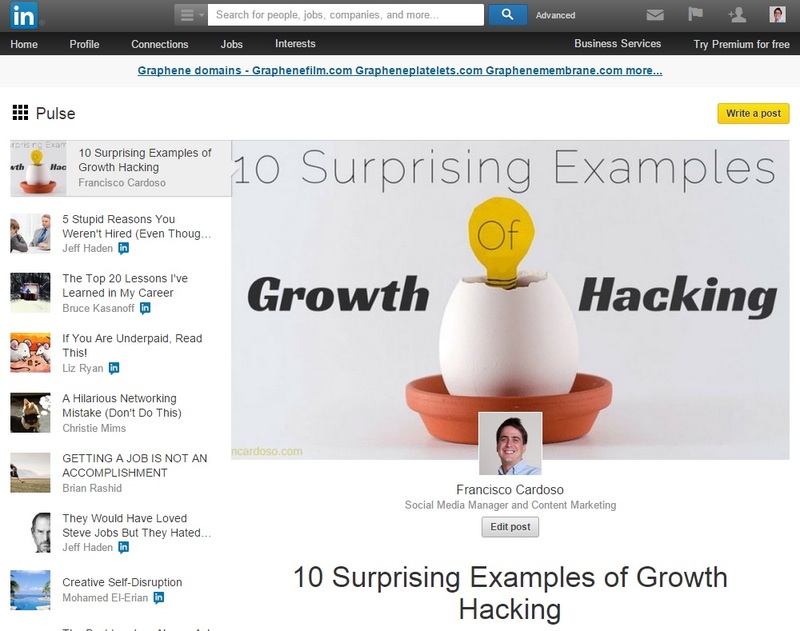 On Growth Hackers you learn how to grow your business fast. There are a lot of stories and examples from the community on Marketing, Social Media and Startups. Expect a lot of engangment here but you must bring something interesting to the table, otherwise you wont get upvotes, therefore you won´t reach the front page. This is a quite famous Q.A. platform where people ask questions about a wide range of subjects and the community answers. There are two things you can do here, you can in fact post a question and somehow link it to where you want to bring traffic, or you can answer questions using the same technique. Don´t spam, bring value to the community and offer your knowledge, you will be rewarded. 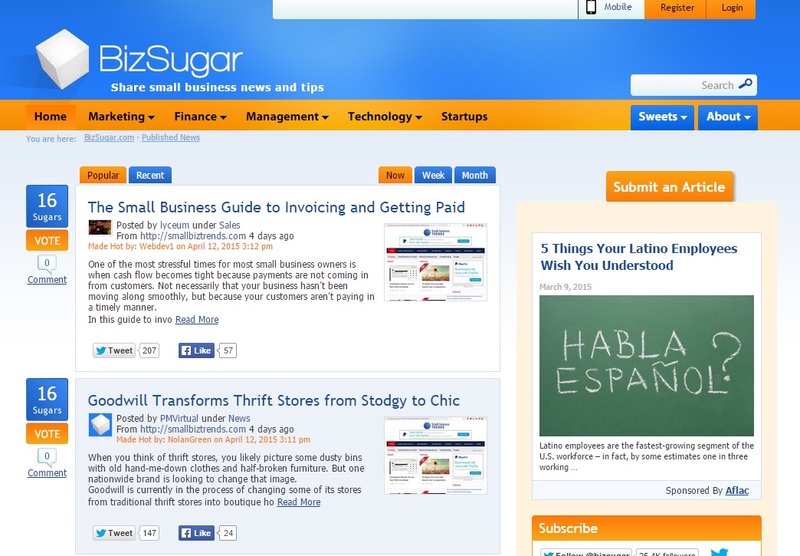 Bizsugar is a network for small business and startups to share their knowledge and tips. There is a lot of marketing and social media being shared. 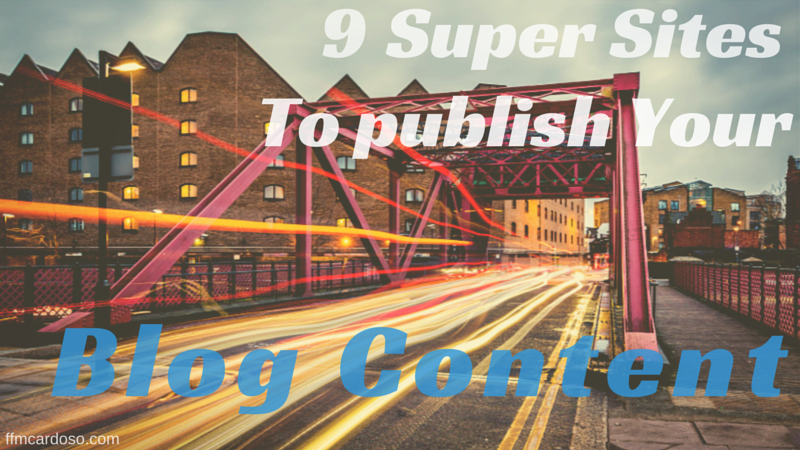 I tend to find a lot of small bloggers here sharing their content and reaching the front page, so it may be a good idea to give it a try. It´s a voting type of website, so you will need votes to get to the front page. With a must less agressive community than Reddit, Digg is a good platform to publish content. It took me a while to figure out how to do it, since is not that obvious but Digg is a platform with a lot of traffic. The content there seems to be pretty random and I confess it´s not my favorite plaftorm but I know many bloggers use and get traffic from it. 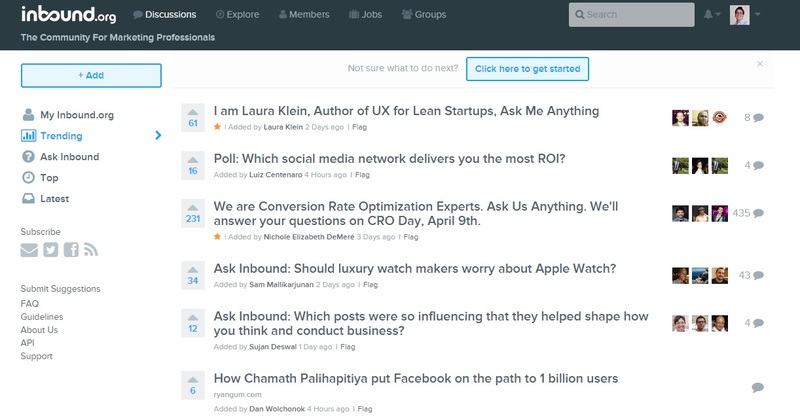 Pulse was a news aggregator created in 2010 and bought by Linkedin two years ago by $90 Million. 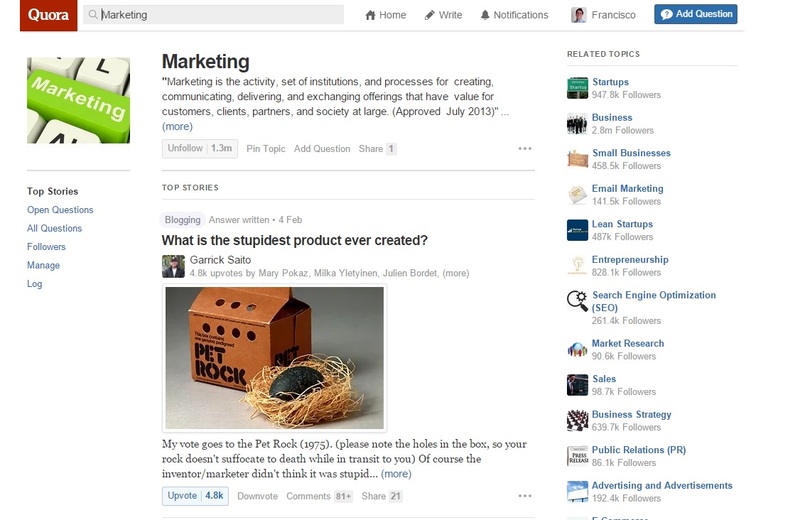 Now the app is incorporated within Linkedin and it´s a good platform to publish content since has a lot of visibility. I know not everyone is able to have access to this option, but Linkedin is rolling it out by stages and everyone should have this possibility quite soon. Waiting for people to visit your blog is not option and you will be needing to to spread your means to make your content more visible. This list of sites are a good start to gain more visits and traffic to your blog. The ones that I selected are are my favourites and I have tried most of them since not all are suitable for my content. I advice you to select and try a few to see which ones work better for your audience and content. Back to you now. 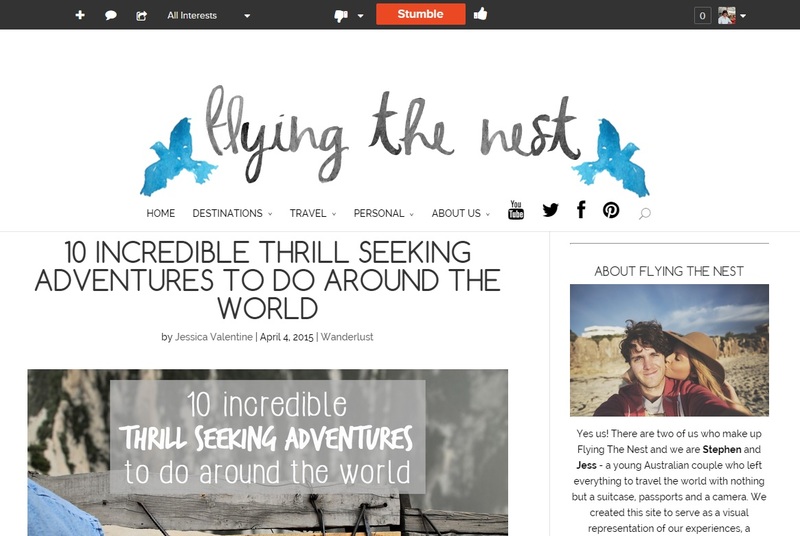 Have you tried any of these sites? Which ones have you got better results? Would you had any other to this list? Good article , Francisco ! All sites, but Pulse, are to be published in English or also can be published in Spanish? I mean if it worth it. If you publish your article on your blog and then copy and paste elsewhere ( as I do in Press ) do not take the risk be considered duplicate content ? Hola Javier! Very good question! Regarding the first question, I think you can explore Reddit and Stumbleupon. There are for sure subreddits in Spanish worth to give it a try. In Stumbleupon you are asked in which language you are publishing, so I am assuming you can publish content in different languages. The other ones are mainly upvoting sites with link drop, not given the possibility to copy/paste.